Hey Friends! Welcome to Just Between Friends of Nashville Music City! Anyone can shop and everyone can save at our twice yearly events! Children and strollers are welcome on all public sale days. You will find deals on gently loved and new items for your family at a savings of 50-90% off retail. We will have Spring/Summer clothes for children and Teens, baby equipment and gear, maternity items, feeding and bathing gear, bedding, room decor, outdoor and indoor toys, sports equipment, electronics, books, games, musical instruments and toys, baby and child furniture, strollers and so much more! We accept the following forms of payment: Cash, Check, Debit, Visa, Mastercard, Discover, and American Express. Please bring appropriate ID. Super Shopper Tip: The EARLIER you shop, the Better Deals you WILL find! *This sale is for Volunteers, Consignors, Backstage Pass Holders, First-Time Parents/Grandparents, Teachers, and Military. Ticket Required. SUN., APRIL 14 | DISCOUNT Day! The Nashville Fairgrounds are conveniently located in the heart of Music City and one mile south of downtown Nashville. EVERYONE is welcome, so sign-up TODAY now to be on our mailing list or to be a consignor and we will keep you in the loop of sale updates, discounts or promotions. Everyone there tries to make the pick-up and drop-off process as quick and easy as possible. Shopping is easy too. Love this sale-Grandmas Heaven-kids love it-Find what you need all in one place-GOOO Nashville!!!! 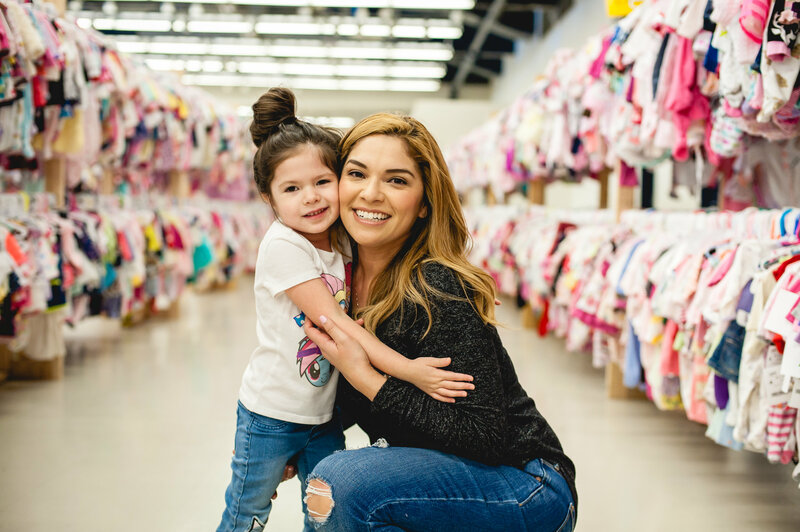 "I love getting cute clothes at a low price, knowing that my kiddos will wear them out in a few short months. I also love knowing that the stuff I sell will go to another mom who can get use out of those items when I’m done worth them. It’s a great system and easy to use as a consigner. I tell all my mom friends about the sale!" Don't hesitate to contact me with any questions! Howdy! I'm Yolanda and I organize the Just Between Friends Sale Event in our GREAT Nashville Music City! As a mom of 2 children, I get it! Raising kids is expensive...not to mention they outgrow things SO fast (my kids have even skipped sizes)! After seeing so much of our money vanishing from paying too much in retail, I became a fierce bargain shopper out of necessity! Consignment sales provided the perfect solution, and thus birthed my love for consignment! That's why I wanted to bring a JBF to Nashville, so you could also experience Just Between Friends! Locally owned - our events allow communities to sell the items their kids no longer use, and get way MORE for LESS! It's a win-win and why I love JBF...I know you will too!